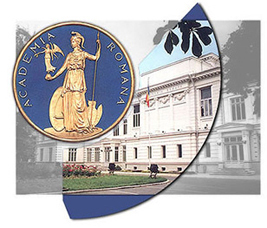 The Publishing House of the Romanian Academy is an institution subordinated to the Romanian Academy, having juridical status, and functioning according to the law no.752/2001 and to the Romanian Academy Status. It is financed by the State Budget, also from its own incomes and other financing sources. The publishing house was found in 1948 continuing and developing ever since, the publication of books and periodicals began in 1868 by the high scientific cultural Romanian academic forum.